PUERTO VALLARTA WEATHER FORESCAT FIND OUT WHAT THE CLIMATE IS LIKE ON BANDERAS BAY TODAY! 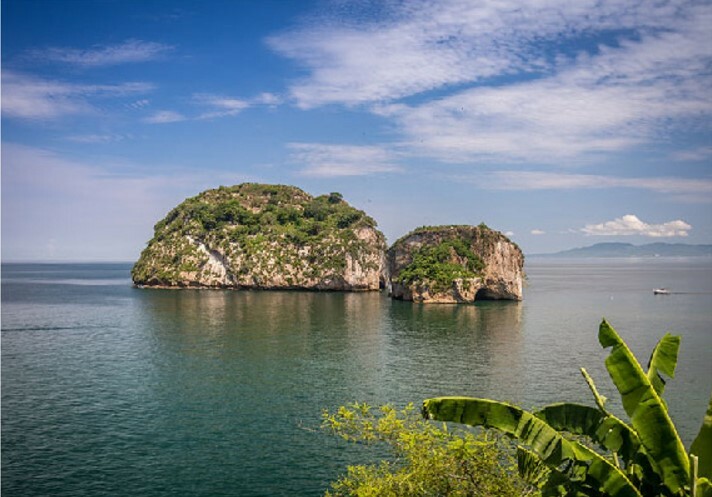 The best way to describe the Puerto Vallarta weather is “fabulous!” No matter when you choose to visit this world-class destination, you can feel confident that the weather will not interfere with your vacation plans. 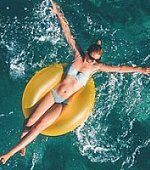 While there are clear dry and rainy seasons, the likelihood of having to deal with unpleasant weather for the duration of a trip to Puerto Vallarta is slim to none, making it an outstanding option regardless of when your trip is booked to this superb destination. Read more about the current weather in Puerto Vallarta. check out what the Puerto Vallarta weather is like right now with our live cam. 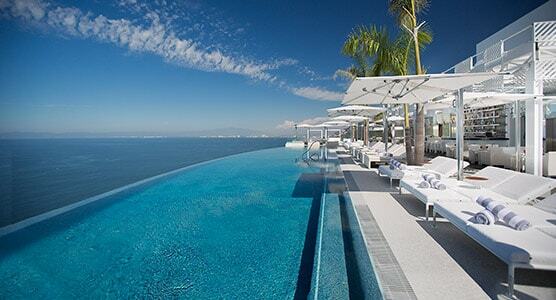 If there is one thing that Puerto Vallarta weather can guarantee, that is the sunshine. One of the safest bets you can make is that you will see the sun each day in Puerto Vallarta, with records showing the average chance of sunshine is nearly 90%. Even more impressive, throughout the rainy season there is still generally sunshine during most days before clouds roll in to deliver brief yet heavy rain showers. All seasons have generous daylight hours, with around 11 hours of daylight during winter days and 13 hours of daylight during summer days. Temperatures during the day are typically quite warm, especially in summer between May and November when temperatures average a balmy 91ºF (33ºC). However, the daytime temperatures still aren’t unbearable. The temperatures in the winter are very enjoyable with daytime highs around 82ºF (28ºC) and low temperatures reaching around 61ºF (16ºC). You can rest assured you will encounter plenty of beach-friendly weather whenever you make it to Puerto Vallarta. Will it rain on your fun? Although the forecasts for Puerto Vallarta weather suggest that rain could be present any day of the year, there is a regular weather pattern in Puerto Vallarta with heavy rainfall between June and October alongside the year’s hottest temperatures. Stunning electrical storms at night are a special feature of the rainy season. Fortunately, rain showers normally visit Puerto Vallarta in the afternoon or evening, leaving most days dry and comfortable so you can still enjoy all your outdoors activities. With a host of fun attractions, and resort activities, there is no room for boredom on your trip to Puerto Vallarta. Enjoy boat tours, whale watching, secluded beaches, jungle adventures and colorful nightlife. Get the best deals right here when you reserve online through our official website. 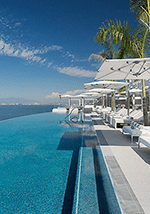 Check out our tailored luxury packages for signature experiences at the only 5 Diamond hotel In Puerto Vallarta.